Product prices and availability are accurate as of 2019-04-20 06:11:27 UTC and are subject to change. Any price and availability information displayed on http://www.amazon.com/ at the time of purchase will apply to the purchase of this product. 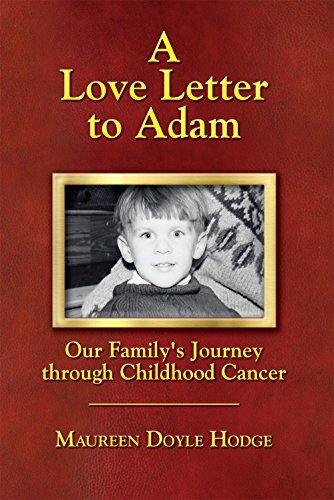 Author Bookstand is proud to offer A Love Letter to Adam: Our Family's Journey through Childhood Cancer by Bookstand Publishing. Bookstand Publishing offers books by the best indie authors throughout North America and the world. Bookstand Publishing is dedicated to offering original content to a broad audience and promoting great authors, literacy, and freedom of expression. A Love Letter to Adam: Our Family's Journey through Childhood Cancer has generated a lot of interest and excitement and we think it would be an excellent addition to your library. When Adam Hodge was diagnosed with leukemia at the age of four, his ensuing four-and-a-half-year brutal struggle with cancer included many moments of despair, but also many moments of joy. Avoiding sentimentality, this amazing account of a plucky little boy who continues to reach out to help others even as his situation deteriorates is both heartbreaking and humorous. This is not just another cancer story. It is also an exquisite love story. In his short life, Adam was sustained by the love of neighbors, of family, of medical providers, of community, and especially of parents. This support allowed him, in the face of a dire prognosis, to live life fully as a fun-loving young child who gave as much love as he received, and who touched and changed so many lives. Examining the big questions of life, love, and death, and acknowledging pain even as it celebrates life, this story will hurt your heart. It will make you cry. But it will also make you laugh and make you sing. Adam’s inspiring and uplifting story demonstrates that life may not be fair, but it can still be full of joy and of loving, of laughter and of tears, of life in all its complexity.